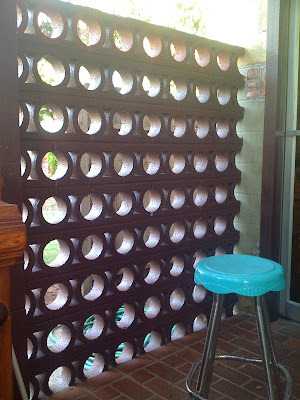 We love these concrete cinder block walls from the 1950's and 1960's. This wall was in a restaurant in California. It would look beautiful in white, but I guess the owners decided to match the color of their floor. Still, beautiful to look at! If you are looking for these hard-to-find modernist cinder blocks for a project, contact nova68 as they may still be available.